5 yummy fall cookie recipes from Distinctive Inns of New England. 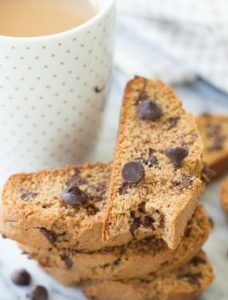 You don’t have to wait for National Chocolate Chip Cookie Day on May 15th or National Cookie Day on December 4th to enjoy some of the best cookie recipes offered at New England inns. Every day is cookie day at Distinctive Inns of New England DINE), where some of the best fall cookie recipes are offered up day after day. 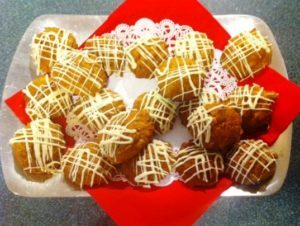 Any of these recipes can be used for Christmas cookies to serve a crowd, and when you visit any of the 12 DINE inns for your next New England romantic getaway, you just might be treated to one of these cookies. All off the DINE inns offer fresh baked pastries during afternoon refreshments, afternoon tea or early evening receptions. While the treats may vary from inn to inn, you can be assured of enjoying the ideal fall foliage escape along with plenty of added treats at the Distinctive Inns of New England. Yet if your plans for your next getaway are on hold for now, here are a few of our guests’ favorite fall cookies straight from the kitchens of Distinctive Inns of New England. And to view all the recipes featured in this blog, simply click on the Recipes button above in the nav bar. Mix together all remaining ingredients in a separate bowl. Add to egg, sugar and butter mixture. Mix just until blended. Drop by tablespoon onto parchment covered cookie sheet. Bake 15-20 minutes until lightly browned. Cool on pan then remove to a rack. Cream the butter and sugars adding in the eggs, vanilla and pumpkin, scraping the sides of the bowl to incorporate the ingredients. Sift the remaining ingredients and add to the wet mixture. Make small balls with dough and bake. Optional: melt white chocolate chips and drizzle over cooled cookies. Makes a large batch of cookies. 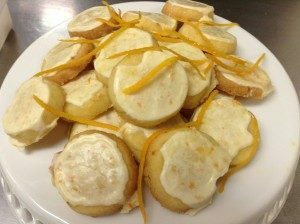 These famous fondelé cookies are a favorite in the evening and served nightly as part of the Cliffside Inn’s turndown service. Enjoyed bedside or throughout the day! Squeeze, pound, mix, mash the ingredients. Make sure that all of the ingredients are incorporated evenly. At this point the dough may be wrapped up in plastic and refrigerated for up to 2 weeks until ready to bake. Form the dough into 1 inch balls and place on a non-greased cookie sheet; approximately 2 inches apart. Use the bottom of a juice glass, dipped in granulated sugar to gently flatten the cookies until less than ¼” thick (thickness not critical…so don’t use a ruler). Bake in 350 degree oven for approximately 10 minutes (a little less if the cookies are thinner). Allow cookies to cool completely before removing from tray (they will fall apart if not cooled or if they are overcooked). 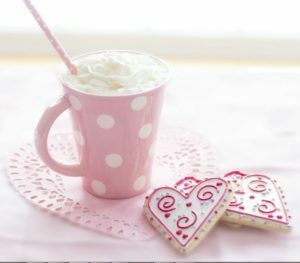 Once cookies are completely cool, dip ¼ of the cookie in melted chocolate (melt chocolate morsels in a double boiler), and place the dipped cookies on wax paper or parchment paper in the refrigerator to cool. Using a paddle attachment of stand mixer, cream together the butter and sugar until fluffy. Beat in the eggs, then the vanilla. Sift together the dry ingredients and add to the wet, mixing thoroughly. the dough will be stiff. Stir in the chocolate chips. Divide the dough into thirds. for each third, drop the dough by spoonfuls onto a sheet of plastic film (saran wrap). Shape the dough into a log, about 2” x 10” x 1” high. Wrap the plastic neatly and tightly around log, closing first the long sides, then the ends. Place in freezer for 10-15 minutes. Preheat oven to 350 degrees f. Line a large baking sheet with parchment paper, or aluminum foil. Unwrap the logs and place onto the lined sheet. Bake for 25 minutes, until logs become lightly browned. Remove from oven. Reduce the oven heat to 300 degrees. Slide the paper or foil with the logs off baking sheet, and onto a cutting board. let cool for 5-10 minutes. Using a thin, sharp knife cut the logs, at an angle into slices about ¾” to 1” wide. Slide the paper & slices back onto baking sheet. 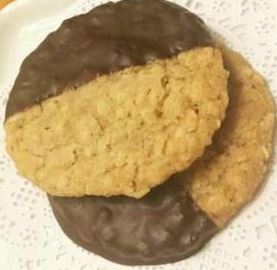 Lay each cookie slice on its side. Return to oven. Bake for 10 minutes. Remove from oven. turn each cookie slice to the opposite side & bake again until golden for a final 10 minutes. Mix glaze ingredients. If needed, add more sugar to adjust consistency. Cream butter and sugar. Add vanilla and zest. Scrape bowl. Then add flour. Mix until flour is incorporated. Roll dough in parchment paper to form a log in 1″ diameter. Chill the dough. Slice 1/4″ thick. Place on baking sheet (lined with parchment). Bake at 350 degrees. 10 – 12 minutes. When cool, glaze with orange icing. 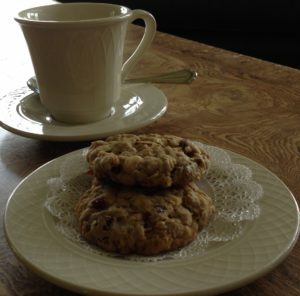 Next time you visit one of the 12 Distinctive Inns of New England, be sure to get back in the afternoon to enjoy one of their wonderful cookies or sweet treats. To plan your next New England B&B vacation, simply click on one of the links below to go directly to the inn’s website. This entry was posted in advice, Captain's House Inn, Chesterfield Inn, Cliffside Inn, Gateway's Inn, Rabbit Hill Inn, Recipe and tagged cookie recipes, cookie recipes from Distinctive Inns of New England, cookie recipes from innkeepers, cookie recipes from New England B&Bs, cookie recipes from New England inns, cookies, inn's cookie recipes, New England inns cookie recipes, sweet treats from New England inns by DINE Blogger. Bookmark the permalink.